The restlessness approached hysteria. The parties were bigger. The pace was faster, the shows were broader, the buildings were higher, the morals were looser, and the liquor was cheaper; but all these benefits did not minister much delight. 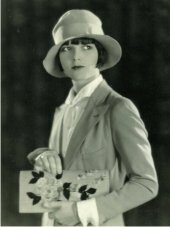 Dangerous Gangsters like Al Capone whose sense of style shaped the look of "Success"
Famous fashion Designers like Coco Chanel and Paul Poiret who defined "modern fashion"
We honor a decade of casual elegance and classical style - modern fashion reflects the profound influence of the 1920s. 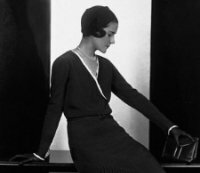 In addition to the fashion, the Twenties was filled with interesting characters and famous icons who continue to inspire rebellious attitudes and styles today. Between the beautiful fashions, the elegant celebrities & wild flappers, the gangsters & the jazz music, it's not surprising the time is known as The Roaring Twenties. It continues to inspire the world's most elegant fashions and brilliant music. Following in the footsteps of the Roaring Twenties' style icons we will explore the huge influence of 20s flapper fashions and hairstyles. The impact of movies and Broadway shows on fashion and music, the rise of the gangster and his role in mens fashion, and tease out the influence of jazz on the landscape of modern music. It was a decade of elegance, a time of prohibition and violence, a time of spirit and creativity. Come explore the beautiful fashions of a decade of nightclubs and jazz music, learn why everyone loves and hates the American gangster, read about the how the insatiable spirit of flapper culture shaped the modern woman. This site grows as the we follow the influence of the Roaring '20s in fashion, how jazz continues to influence music, how the decade is reflected on stage and in the movies and of course, on the streets.